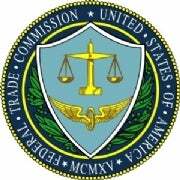 FTC Closes Fake iTunes Reviews Case -- Will it Make a Difference? Online product reviews have always been a little sketchy; you never know who actually writes them, whether there's a hidden incentive, or if it's a company shill in disguise. But now that the FTC has cracked down on phony iTunes reviews pushed out by companies who make or market the products, will these shameless self-promotions cease? Or is this just posturing on the FTC's part? Reverb Communications -- the PR and marketing group behind several iPhone games as well as high-profile console games like the Guitar Hero and Rock Band series -- reached a settlement with the FTC to remove the reviews its employees wrote. Reverb is also barred from further misrepresenting users as being independent when such positive reviews are in the company's financial interests. ts deceptive practices. But aside from a stern "don't do this anymore," Reverb Communicates will not be monetarily penalized. One of Reverb's executives, Tracie Snitker, told the New York Times that it's time to move on. "Rather than continuing to spend time and money arguing, and laying off employees to fight what we believed was a frivolous matter, we settled this case and ended the discussion," Snitker said. The FTC changed its guidelines concerning online user reviews in 2009, specifically targeting bloggers who receive incentives for positive assessments. This was around the time Reverb supposedly began falsifying reviews, according to the complaint. The Reverb case isn't the first of its kind. Last year Chinese iPhone app developer Molinker was busted for posting false reviews and saw more than 1000 of its apps removed from iTunes. A closer look at iTunes reviews reveals even more untrustworthy activity. Previously it seemed that Apple had no mechanisms -- and perhaps no interest -- in cleaning up phony app reviews. This may be changing, however. According to reports, Apple's September 1 event will bring social networking features to iTunes, and perhaps solve the problem by improving its reporting capabilities. The Web as we know it is born for user-generated reviews -- it's the nucleus of companies like Yelp, and crowdsourcing data is finding its way into other activities such as map-making and problem-solving. Actively participating in a company's branding and reputation has become a valued pastime on the Internet, as it allows consumers to get more from their purchases and interactions with both corporations and fellow users. Crowdsourced communication is also part of the Internet's core philosophy and the reason sites like Wikipedia exist. So while the complaint against Reverb is justified -- those who benefit from positive reviews shouldn't be allowed to write them -- it doesn't seem probable that these rules will be strictly enforced (especially since celebrities appear to be exonerated from these restrictions). And keep in mind that repeated incidents such as these just make marketers cleverer the next time around.